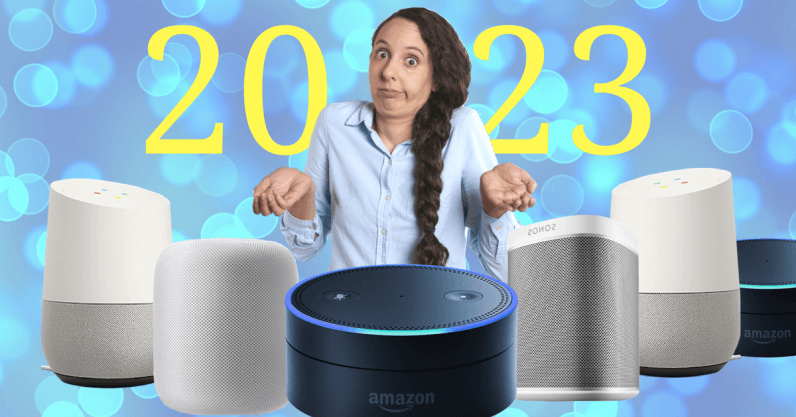 The past year has been great for the smart speaker industry. Smart speakers, the voice-activated, home-based devices that allow you to make searches, play music, and even purchase items, skyrocketed in popularity in 2017, with sales more than tripling. Brands like Amazon Echo, Google Home, and Sonos One have become household names, and consumers have already gotten used to having a voice-activated assistant on standby. But in the realm of technology, it’s hard to spend much time contemplating the present without looking to the future. Smart speakers have the potential to grow and develop even further in the future, especially as they ride the momentum they enjoyed in 2017. So how, exactly, could smart speakers evolve in the next five years or so? Most new technologies and types of devices are marked with an explosion of diversity in their early stages of development; one innovator might temporarily lead the field, but a flurry of competitors looking to cash in quickly take action to earn a slice of the profits. Then, inevitably, a single competitor proves itself to be the frontrunner — for example, Google became the biggest name in search, and Netflix became the biggest name in video streaming. Within the next five years, it’s almost inevitable that a single smart speaker product will make moves to gain dominance over the others. Currently, Amazon Echo holds 67 percent of the market share, with Google Home holding another 25 percent, making Amazon the clear frontrunner. However, the race is still early, and the promise of more innovation from new competitors means there could be significant shakeups in the next few years. Most modern smart speakers are set up to handle single-line queries. You might ask your smart speaker what the weather’s like, or for the name of an actor in the TV series you’re watching. But if you want to explore those topics further, you’ll need to ask a new line of specific, individual questions. As the artificial intelligence (AI) systems driving smart speakers become more sophisticated and capable of “understanding” human conversation, it’s likely that these single-line queries will become more of a conversation, prompting users with follow-up questions, and encouraging more subjective, open-ended inquiries and responses. One of the biggest hurdles facing smart speakers is currently the latency posed by the cloud. For practically every query, smart speakers need to fetch information from the cloud and process it. While this only adds a few seconds to the average user’s interaction, that speed will become more relevant as users demand more from their devices. This will also be a problem as smart speakers enter more homes; with more devices connecting to the cloud more frequently, and demanding more communication, companies like Amazon will need to invest far more in infrastructure — or, alternatively, turn to local networks for faster, more efficient data distribution. Everything in the tech world is headed toward more personalization; users want to feel like they’re getting a wholly unique experience when they visit a website or interact with a device. Smart speakers have already anticipated this need, offering functionality like customized morning greetings and user-based recommendations. In the future, this might expand to include dynamic user voice recognition, and personalized voices and conversational styles in addition to customized content. The announcement of the Amazon Echo Show, essentially a smart speaker with an embedded screen, shows the potential for including visual elements in what has historically been an audio-guided device. If users take to the screen warmly, it could open up a new dimension of the smart speaker industry, giving users a device that hybridizes traditional tablets and laptops with smart speakers. Most smart speakers have already made an attempt to integrate with as many other devices, gadgets, and systems as possible; Google especially has made strides in integrating with gadgets under the Alphabet enterprise (like Nest). In the next five years, we’ll likely see these types of integrations expand and diversify. One of the biggest potential strengths of smart speakers is their ability to unify an ever-growing host of “smart” home-based gadgets. The more universally compatible a smart device is, the more likely it will be to dominate the market and drive future changes. It’s important to take a step back and remember that the “smart speaker” itself isn’t what’s impressive, and isn’t what’s driving people to buy so many devices; instead, the smart speaker is just a shell for the powerful, interactive AI running within it. As tech companies and users grow to realize that the interactive AI is what’s really important, we’ll likely see the emergence of a diversity of new devices, which push our perceptions and allow us to engage in entirely novel ways. As users grow more comfortable with smart speakers, they may demand and use more features that involve monitoring and predictive data analysis; for example, smart speakers may soon be able to track our lifestyle habits and make recommendations based on those habits, such as recommending new foods or suggesting changes to our routines to save time. If and when this happens, it will stoke already-existing concerns about user privacy. Users might demand more transparency or consumer data protection from tech companies, and tech companies may need to respond with new and distinct security measures meant to make users feel safe and confident in their usage of smart speakers.